The Quill traveled to Hartford, CT, in November with Debbie Palmer, Keokuk, IA and Fay Gray, of Biggsville. Dustin Palmer, son of Debbie and Danny Palmer and grandson of Larry and Fay Gray attends Hartt Music School at the University of Hartford. 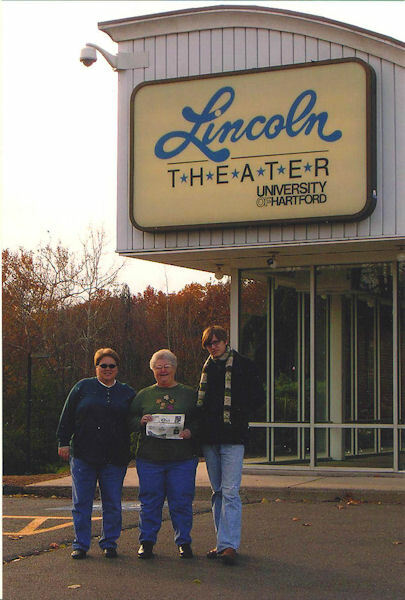 While they were in Hartford, they enjoyed attending a jazz concert Dustin participated in at Lincoln Theater. When you go on a trip, take "The Quill" along and capture your picture with it and send it to us. Let us see where all "The Quill" can travel.